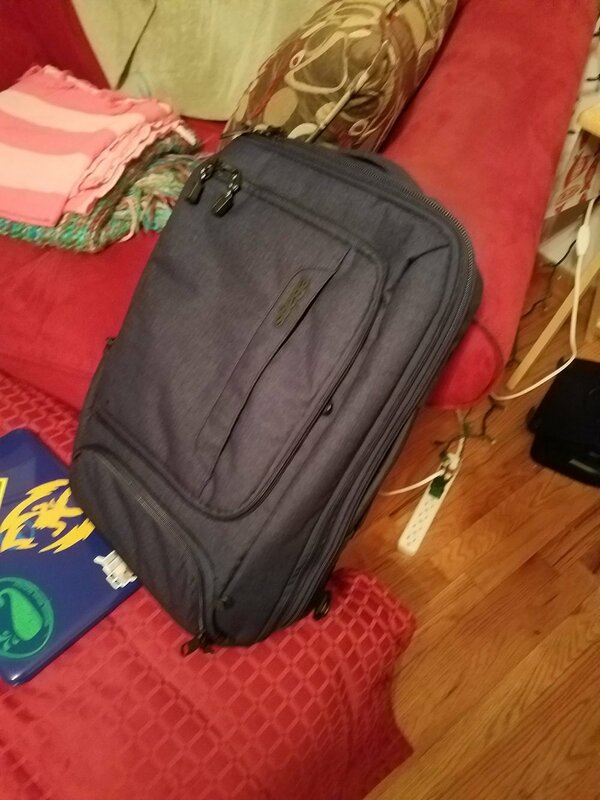 I even bought a new bag and took a photo of it next to an old computer. Cannot believe that there's only one more full day before I embark for another trip to Morocco. Debate has given me many things since I started following its path and teachings, but the thing that never fails to surprise me is intense familiarity with countries most people don't think about much at all. Top of the list? Slovenia and Morocco. It's been a while since I've been to Slovenia, but I'm sure I'll be returning there soon. Not sure when, but I can feel it. Morocco is a pretty steady trip these days. We started going in 2011 (I think) but it could have been prior to that. The trip is a peer-teaching learning lab. I think that's a good title for it. I bring some of my debating students and they teach the Moroccan students about speaking and advocating. We spend about 4 - 5 days doing this during the day, and in the afternoons/evenings we visit some historical/touristy sites of interest. It's a great time. The real reason that I'm sitting here sort of shocked that I have to pack tomorrow night (more likely Friday morning as I'd rather read and write Thursday after class) is that I had a pretty great experience today at the mid-career writing learning community meeting. The short summary is: There's a lot to think about here, I haven't been doing this very well, and oh, my poor students. Just a bit more critical thinking about writing on my part would have gone a very long way. But that's not just a dig against myself. It's actually a very hopeful realization. If I can meet with some other bright folks and talk about writing and writing assessment for a few hours and get a dynamite critique of my own practices along with some ideas for my spring course, just imagine how good it's going to be by December. On top of that, just imagine how much easier it's going to be for me to help colleagues out with ideas in random brainstorming course-design sessions (which happen a lot more than you'd think). After our departmental assessment meeting I was feeling kinda blue. I was thinking that writing was perhaps the wrong way to go for assessing our majors. I thought that the problems our students had with writing obfuscated our ability to assess the things we were trying to look for in their work. I suggested oral assessment as an alternative. I still think there's a lot of room to consider orality and oral work in our courses - we do very little of it even in the rhetoric department - but it's not an either/or with writing. It's a false choice. Writing helps in the preparation of the mind and the person for what's to come. I think my biggest challenge is to move away from defaulting to writing as "final product" in my teaching. I need a new phrase for it, a new metaphor. Something will come. I would quote Sirc here but I have been doing that a lot lately, plus there's a pretty good critique of him I'm supposed to read sitting right here on my desk. The meeting today gave me something I haven't felt in a while on campus and that is hope for the future and the present. I think it's pretty easy to feel alone in your work as a professor. I also didn't realize how my view of the university is somewhat clouded by the comments I hear from students all the time. Students, since they are people, tend to talk about negative experiences more than good ones. If a professor is fantastic, that's expected - nothing to talk about. If they are super bad - everyone tells the story multiple times. There's a sort of false weight of negativity in my mind because I'm hearing the same story many times. That saturation is interpreted as multiple occasions but it might not be. I need a more critical ear when i'm overhearing/eavesdropping/talking with my students. I suppose the thing that made me feel the best was that there are a good number of people who spend a lot of time thinking about how to best design experiences for students. I don't interact with these people as much as I'd like to, and I usually hear the dire stories from students or overhear the negative comments in the hallways. Perhaps it's on me which to focus on and which to make part of the story that I tell myself about my role at the university. It felt like a pretty lonely spot for the past couple of years until today. There are so few places that students perceive are places that they can demonstrate their value, have good experiences, and improve themselves, perhaps focusing on a better metaphor and vision for writing will increase those spaces.